Please click the image above to view all the items we are featuring in April. 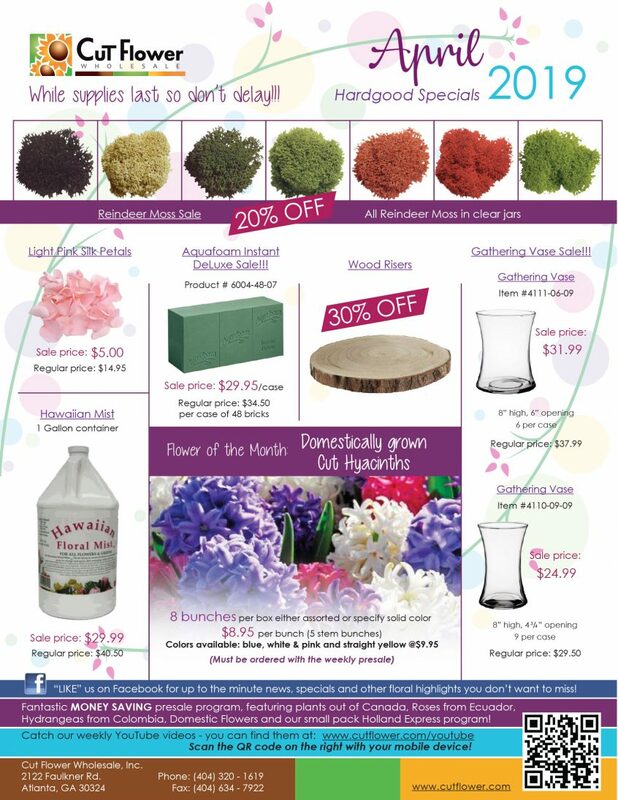 Check out these great prices on the Cut Hyacinths! Questions? Please call us at 404-320-1619 or email sales@cutflower.com. Cut Flower Wholesale is the Atlanta-based premier fresh-flower wholesaler importing the finest florals from around the world. Please click the image above to view all the items we are featuring in October. 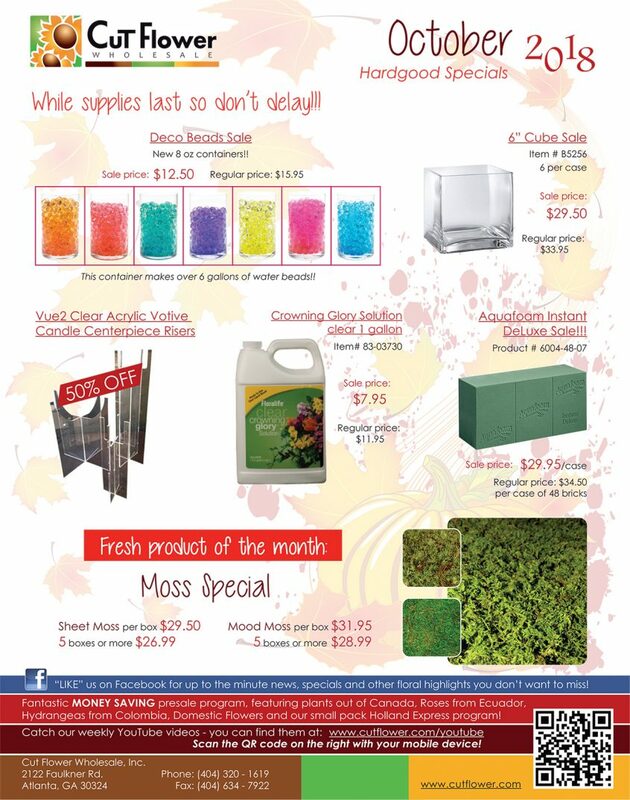 Check out the great prices on these Sheet Moss and the Mood Moss! Questions? Please call us at 404-320-1619 or email sales@cutflower.com. Cut Flower Wholesale is the Atlanta-based premier fresh-flower wholesaler importing the finest florals from around the world.